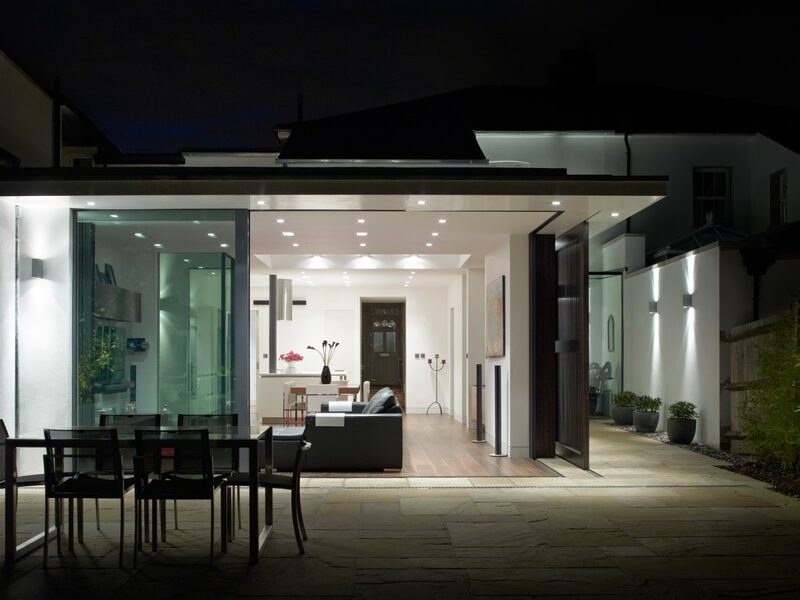 this project was commissioned by clients who wanted to keep the imposing georgian double-fronted façade and traditional layout upstairs, whilst dramatically changing the rear of the house which was a dark and uninviting 1970s extension. they requested striking, light-flooded, contemporary design with privacy from overlooking neighbours. 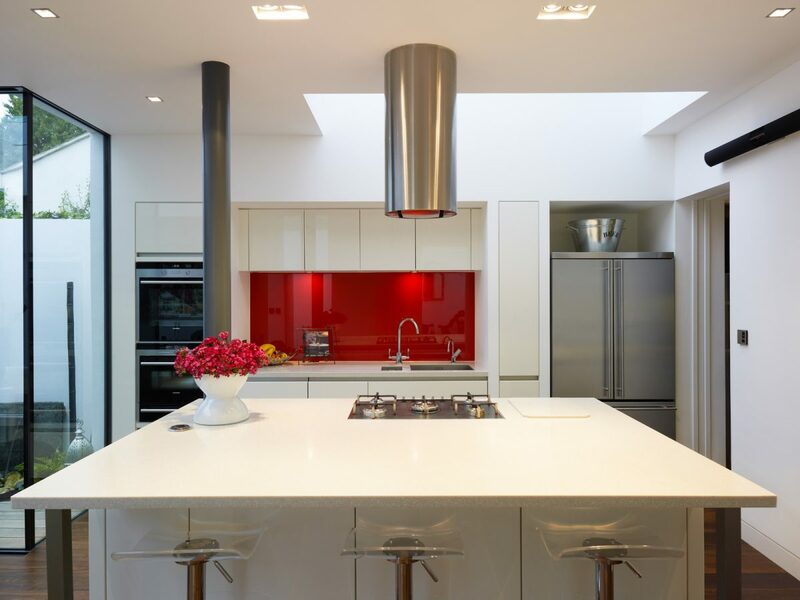 the re-design features full-height sliding aluminium doors which can be pushed back reveal a fully openable corner with overhanging flat roof. a sliding timber panel offers privacy from the neighbours, as well as adding a modern design feature to the rear exterior of the building. the formerly small kitchen now houses a generous utility room backing onto the new open plan kitchen area and bar. a large, unusable internal patio has been reduced to open up a zen-like internal courtyard next to the dining area and kitchen. 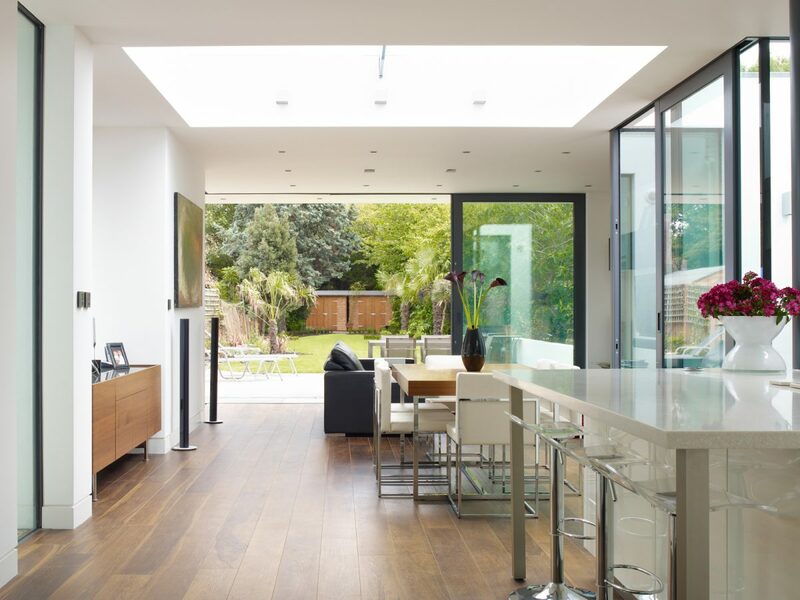 a new all-glass link connects the new extension and ‘old’ lounge area, creating a more fluid and usable space.